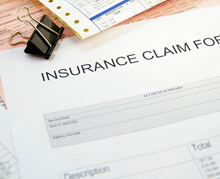 Our facility is contracted with most insurance carriers. Please contact your insurance carrier if you have questions about your medical coverage. We will gladly bill your insurance for services rendered. We expect payment at the time of service for your coinsurance/copay and outstanding deductibles. We accept cash, check, Visa, MasterCard, American Express or Discover. As a courtesy to patients who do not have insurance, we offer special cash pricing. Please contact our office at (650) 343-1655, ext.214 or 238 for further information.